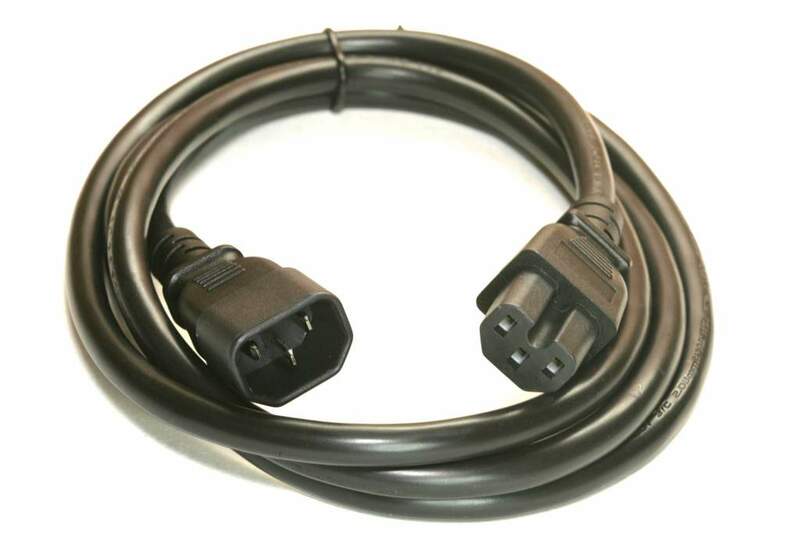 Jumper cord C14 Plug to C15 Connector IEC 320 standard 15 Amps. The C15 female connector has the same pin array as a C13. However, the C15 has a notch at the base.